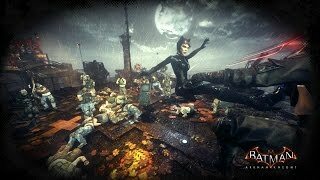 "AR Combat Challenge (17 of 25): Feline Frenzy #1, Catwoman, 3 Stars, 7 Rival Points, 3 Gotham's Greatest Points"—AR (Augmented Reality) Challenges were accessed from either the game's main menu, or via specific plotted locations on the game's island maps. 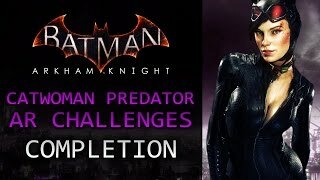 These challenges were further divided into the six categories of Predator, Combat, Batmobile Combat, Batmobile Race, Batmobile Hybrid, and Scarecrow Nightmare. 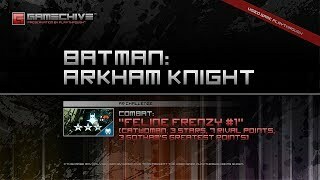 The "Feline Frenzy" Combat Challenge came bundled with the "Crime Fighter Challenge Pack 2" DLC, and in this video, Catwoman was utilized to fight for as long as possible during this challenge (timer count downs around 15 minutes), while earning a maximum of three (out of 3) stars. Additionally, 7 Rival Points, and 3 Gotham's Greatest Points were earned in total. 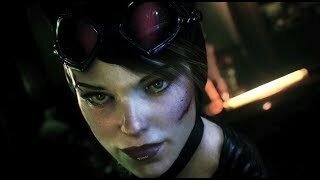 Take on [seemingly] infinite waves of thugs as Catwoman, with her nimble fighting style and unique gadgets. 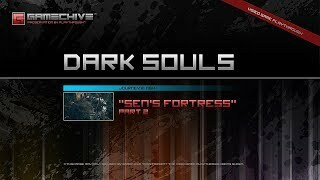 "Depths (Part 2 of 2: Gaping Dragon Boss & Tail Cut) [Journey 2: NG+1]"—Located in the Depths, the Gaping Dragon is a descendant of the Everlasting Dragons. The dragon was once a normal dragon, until his eternal hunger transformed his upper body part to a giant mouth. This enormous dragon attacks with grabs, slams, smashes, swipes and a large expanding pool of acid which damages equipment. This boss is weak to lightning-based attacks and its tail can be severed. Be sure to kill the Channeler enemy at the top of the area (likely encountered earlier near the large rats) before fighting this boss, as it will buff the boss' attacks, making it much more difficult to handle. 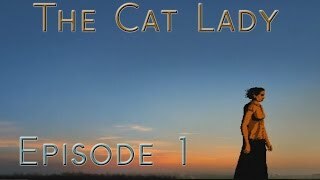 This gamechive contains a battle on the new game plus setting (NG+1) in a partnership with NPCs Solaire of Astora* and Knight Lautrec of Carim*. A player must be in "human form" to summon them, and must have freed Knight Lautrec from the Undead Parish prison cell and met/talked with both NPCs for both of them to be available. Their summons signs are on either side of the column by the stairs that lead down to the boss gate. The Blighttown Key, Twin Humanities, Homeward Bone, and 90,000 souls are received for defeating this boss. A Sunlight Medal is also awarded if Knight Solaire survives the battle. The dragon's tail can also be severed for a Dragon King Greataxe. "Key to Blighttown from the Depths of the Undead Burg. Swallowed by the Gaping Dragon. As its name suggests, Blighttown is a place of great pestilence. Even the polluted inhabitants of the Depths are aware of its dangers, and built this mighty door in hopes that they could remain safely separated." "This axe, one of the rare dragon weapons, is formed by the tail of the Gaping Dragon, a distant, deformed descendant of the everlasting dragons. The axe is imbued with a mystical power, to be released when held with both hands." After the Gaping Dragon is defeated, the Hard Leather Set (Helm, Armor, Gauntlets, and Boots) is found on a nearby corpse.